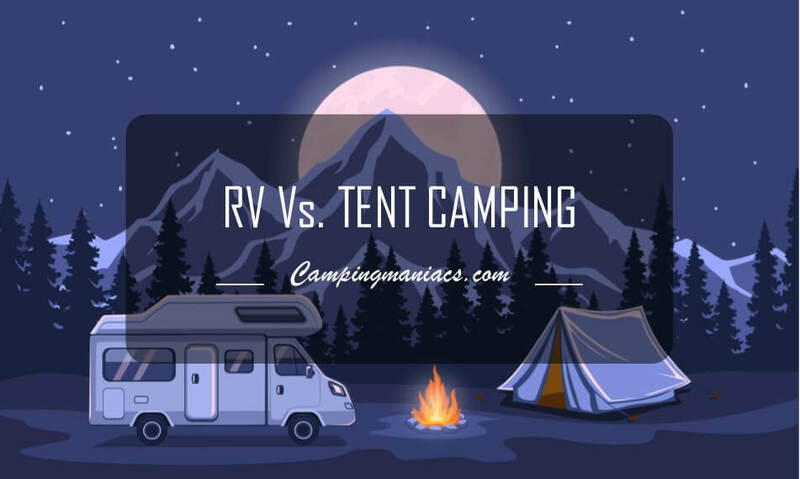 RV Versus Tent Camping - Which Is the Real Catch? Camping is a popular holidaying activity for many. In fact, over 40 million in the US partake on this exercise each year. Camping as it were involved roughing it up in the outdoors, exposed to weather elements and the beauty and hostility of nature. However, today’s camping breaks into several niches such as tent camping, backpacking/hiking, RV camping, Glamping, canoe/kayak camping and survivalist camping. The most distinct types of camping are RV camping and tent camping. With the many advancements in RVs, tent campers and RV campers can’t seem to settle on which of the two is real camping. Tent campers argue that real camping should be about enjoying nature with the least distractions or intrusions while RVers argue that you don’t have to forgo life’s conveniences to enjoy the great outdoors. The RV movement seems to be growing at quite a considerable rate with many national parks and campgrounds being occupied by more RVers than tent campers. RV campers bring along a lot of things with them like TVs and generators, which can bring about conflicts with tent campers who want a quieter camping experience. Before making your own opinions on either, get to know of each of these camping styles and their differences and similarities. This is the oldest and most basic form of camping. Tent camping involves pitching tent in the countryside and spending a couple of nights there. You can stay in the woods, on the beach, on a campsite or any other good spot available. Tent camping focuses on strengthening family bonds, foster a collaborative spirit and is essential for team building. This is more so thanks to hands-on activities like cooking over open fires, exploring nature and so much more. Tent camping will require essential gear like a tent, tent setup tools, a cooler, food, cooking gear, camping gear, beddings and personal items. Having a checklist for the essentials can save you a headache or two when setting up camp. For a getaway filled with fun activities and comfort, it all starts with getting the right tent for your needs and picking the perfect spot to pitch your tent. Picking a good place to set up a tent can be an uphill task keeping in mind that it will impact on the comfort and overall safety of your stay at the campsite. A common practice among tent campers is to do practice-run (pitching the tent in your backyard to get the basics of the whole process) before heading out to the campsite. The ground will be acting as a bed frame and thus it must be flat and without rocks or roots. While most campsites maintain a level ground, you can use a rake to brush away rocks, sticks or anything that can poke you while you are asleep. A step further would be testing out the spot for comfort by laying your sleeping bag or mattress on it. Camping in the valley will put you at risks of being swept away by flash floods or waking up in a puddle of water. Avoid pitching a tent on a hill by all means. If it is the last resort, always sleep with your feet pointed downhill and head on the uphill slope. Forests are very popular campsites for RVers and tent campers alike. Luckily, most campsites in these areas are well developed and flat with tent camping in mind. It is important to acquaint yourself with the many different types of soils present in the site as forests have many varying soil types. Some soil types can be hard to penetrate with stakes and others can’t even hold the stakes in place. While camping near a water source may be desired for easy refilling of water, it is not advisable to do so. It is a very dangerous spot to have close proximity to in the event of flash floods. Such proximity also poses the risk of contaminating the water source. Most campsites have their water supplies about 100 to 200 feet away for this reason. Ensure to bring enough water bottles to refill and for on-the-go use. The flow of water on the ground if it rains is another consideration. Avoid hollows and marshy grounds at all costs. Tenting under the shade of a tree may seem like a good idea at first but when it rains, the grass will be unusually soggy and water will continue dripping from the tree’s branches long after the rain has stopped. Avoid pitching tent near ponds, lakes or rivers as water might flow through your tent to the water body. Also, mosquitos and other bugs love water so be ready to combat that. Waterproof your tent by using a rainfly or by sealing seams and patching any holes in the tent to keep the rain out. A campsite with a natural windbreak is most recommended. Hedges or other structures can also work as windbreakers. To counter any other wind effects, position your tent-door away from the wind for protection and better insulation. A shaded spot is always preferred as tents won’t effectively shield you from direct sunlight. Some tents may get damaged or age prematurely due to exposure to sun’s harmful rays. Always follow the tent care instructions specified by the manufacturer for effective use of the product. Avoid bowls and scopes in mountainous terrains as they are more prone to avalanches. Pitching a tent near trees laden with heavy snow is also very risky. A four-season tent offers protection against high winds and snow in open tent sites. Pack the necessary winter gear required if you opt for winter camping. Camping near high traffic locations like near the restroom and play areas may be ideal for you only if they are a priority. Otherwise, expect lots of noise from kids playing and a lot of movement around your tent at any time. Space invasion is also another concern that can affect your camping experience as well as other neighboring campers. Always camp a considerable distance away from other campers if possible. In campsites with dedicated campfire areas, a basic fire safety practice is to pitch your tent a bit farther away to avoid it catching fire. Arriving early at the campground and setting up while there’s still daylight will help you identify and address any issues with the tent. Remember to air out your tent before storing to avoid mildew and mold growth which can damage it. The type of tent you pick will be dependent on your family size, campsite/event being attended and budget among other factors. Tents like cabin, tunnel, dome and bell tents are spacious and sturdy enough for family camping. Quick setup tents would be ideal for high traffic events like festivals where comfort can be slightly compromised. Affordable type of camping. A sleeping bag, pillow, cooking equipment and tent are the most basic gear to have for tent camping. The requirements needed are very affordable and provide a low barrier to entry and in addition to having minimal to zero recurring expenses. Charges for tent camping in private and public campgrounds are also very low. Tent gear can also be rented at affordable prices if you don’t intend to camp for many times in a year. Flexibility. For areas inaccessible by vehicles, tent camping offers a flexible way to explore these scenes with minimum luggage and hindrances. Just hike into a more scenic campsite and pitch tent there. The tent can be set up and be taken down easily wherever and whenever needed. All the basic things you need can be carried in your traveling backpack. No distractions from electricity or technology. 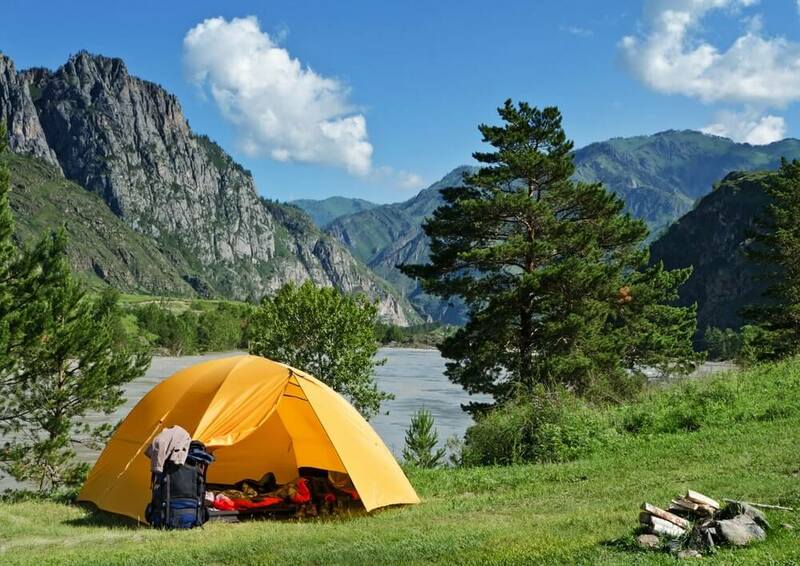 Tent camping focuses on nature and activities like hiking, swimming, biking and the rest as opposed to watching TV or staying online in the RV. The tent only provides space for shelter/sleeping thus leaving you with opportunities to socialize and make new friends or pursue other hobbies and interests. Ease of Storage and maintenance. Tents are easy to dismantle and fold into compact sizes, small enough to store in the garage or the attic. They can be placed in trunks or roof carriers for easy transportation. Reading and following the manufacturer’s instructions and regularly cleaning the tent before storage is all that is required in terms of maintenance. Lack of proper storage for food. Meaning you will have struggles trying to close your cooler and the eventual attracting of bears and other animals due to poor storage. In fact, we listed the improper storage of food as one of the challenges to camping safety. Lack of comfort. You sleep on the ground in a tent, your night’s sleep can be interrupted by rain, falling twigs or even being poked by stones on the ground. There’s no relief from the elements like snow, rain, heat and cold. There’s no bathroom or included water supply. This may force you to depend wholly on the campgrounds for showers, laundry and restroom facilities. Cleaning up is a hassle. While some campgrounds have dishwashing sinks/stations, most of them don’t and you may be forced to be eating out rather than cooking. RV camping brings together the thrills of camping outside and the mobility and comfort of having a home on wheels. While it is criticized by most tent campers as not being "real camping", camping in an RV is perfect for people who like a little luxury when they camp. It is especially popular with retirees. Most campers start out with tent camping and eventually go the RVing way. 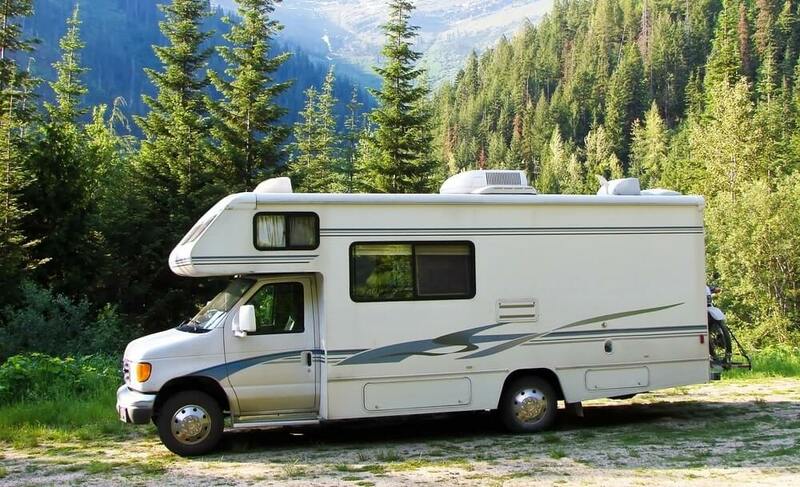 Regular maintenance of the RV, balancing the load inside the RV, preparing for any weather changes and knowing the basic information about your RV will be essential for easier, safer transport and a more wholesome camping experience. Setting up a trailer on even ground is less stressful. Levelling your RV using levelling blocks and stabilizer jacks will be much easier on a flat ground as compared to on hills or slanted grounds. Always place wheel chocks on your trailer wheels at all times to keep it in place. Some parks allow for specific ways to park your RV in your preferred spot, this include pull-thru and back-in styles. Pull-thru sites are usually easier to get into but it will all depend on what you are comfortable with. The length and general size of the rig must also be put into consideration. The rig must comfortably fit in the given space for easy entry and exit. Make sure to not inconvenience your neighbors by encroaching on too much space with your rig. If possible ask for measurements of available spots in the campground to help you decide which will be a good fit. Parks that offer full hookups will be much better for your camping trip. Full hookups will attract more fees so you can prioritize what hookup you need most. In fact some parks specialize in dry camping, which means zero hookups are available on the site. Do you prefer a place with many trees surrounding the area, a view of the lake or a spot closest to facilities? The location of the spot is also another factor that can greatly influence your camping experience. Some RV parks are a travel destination in their own right with extras like entertainment centers, archaeological/historic sites, wildlife reserves, convenience stores, hiking trails, playgrounds, free Wi-Fi and so much more. It is upon you to determine what you want out of your camping trip. Protection from bad weather or cold. Most RVs are well insulated and have heating/AC systems installed to protect the occupants from bad weather or cold. Some motorhomes may have better heating/AC systems than most homes for instance those installed with four-seasons AC units. When it rains you can opt to use the awning to your advantage or stay inside and fix a cup of coffee. RVs are especially a haven during early spring and late fall seasons. Mobility. With RV camping you can drive to the most remote areas and set up camp there with no worries. You have all that you need and more to set camp wherever you please unlike any other forms of camping. Living space and amenities included. RVs like coaches, campervans, class C motorhomes, fifth wheel trailers, toterhomes and travel trailers have enough amenities and features to make qualify as literal homes on wheels. From a living space with a couch, coffee table and entertainment system to a kitchen and bathroom space. Ovens and cooking stoves makes cooking your favorite meal easy and quick. RVs also have washers and dryers fueled by the rig’s electrical or propane systems for all your laundry needs. This means you can avoid the long lines for public washrooms and use your RV facilities instead. Everything is inbuilt to offer familiar accommodations and to make your camping experience the best it can possibly be. Adequate storage space. RVs have refrigerators and optional coolers for easy storage of food plus kitchen cabinets and counters for storing any kitchenware. Also included are RV closets, bed frame/furniture storage compartments, cabinets and other storage spaces for all your belongings. No need to pack/unpack a lot of stuff for the next camping trip. Expensive. 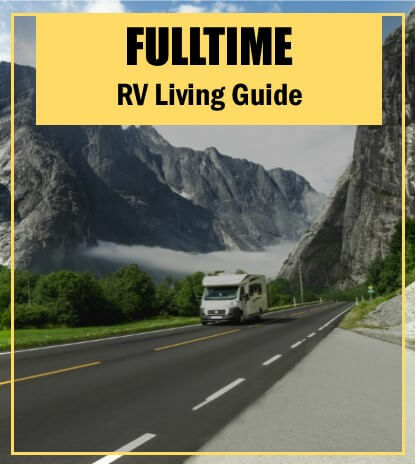 While there are many types of RVs at different prices, to get a decent RV with basic amenities can be costly to acquire and more so maintain. The expenses will include hookup fees, gas/diesel/propane costs, campground fees, insurance, RV service and repairs. Not very flexible. You may not be able to access many parts when using an RV, especially if it is a long trailer, coach or not four-wheel drive capable. Towing a trailer is especially cumbersome to drive around and even more difficult to reverse in. This limits you to low risk areas for your camping. In comparison a tent camper or hiker can simply fit their tent and other necessities in a backpack and move to wherever they please on foot. RV camping is not really camping. Sleeping a cozy bed with heating/air-conditioning plus so many conveniences as present in a home doesn’t feel like camping. RV camping cuts you off from nature and in most cases RVers end up cooped up in their home on wheels rather than exploring the outdoors. Tenting or RVing? Camping enthusiasts have for the longest time debated on which of the two is the best camping style. The decision for either will certainly be subjective, but perhaps it may be helpful to juxtapose the two camping types and evaluate how they fair on the major elements of camping. Personal finances are a huge priority to consider when planning out your camping trip. Ideally, you want a camping style that is enjoyable and cost-effective. Tent camping is the perfect option if you are working with a tight budget. There are many different types of tents in market for every budget and family size. In comparison a cheap RV will still cost more than tent camping owing to the high initial buying costs and long-term recurrent expenses. However, as a travelling option RVs can save you money on airline tickets and hotel expenses. RV camping with a moderate budget and a preference for a little comfort in the outdoors can get you a pop-up trailer RV. The RV will provide the bare minimum amenities and offer an affordable mobility in your camping experience. For RV camping in style, coaches, fifth wheel trailers and toterhomes are the most luxurious. There are also luxurious tents that you can go for that extra tent camping comfort. They include features like solar power installation, two-story structuring and other over-the-top designs. Glamping, a fusion of glamour and camping, is also a trendy approach to deluxe tent camping. It entails hotel-like tents, like yurts, with lavish features and amenities and a focus on nature. This refers to the time taken and ease of setting up and taking down the camping gear in a campsite. Motorhomes will be set to go as the vehicle is self-contained and only a few items need to be unloaded. Trailers on the other hand may require unhitching and levelling at the campsite, which can be a lengthy and technical process. For temporary stays all you need is to level the trailer, adjust the stabilizer jacks and wheel chocks as needed without unhooking the rig from the tow vehicle. Tent camping on the other hand needs less time to setup and takedown. The setup may include packing of tent camping essentials and their transportation to the site. Pitching the tent is also not very time-consuming with practice. Packing for tent camping requires more scrutiny as missing a piece of tenting equipment can be a make or break for your camping. Sleeping on the ground in only a sleeping bag or a lightweight mattress is definitely the closest to nature you will get. However, this is in expense of overall comfort. RVs house beds, indoor kitchen, heating and cooling systems, showers with hot water, dining room and flush toilets. Camping comfort will also determine how long you can camp out. RVs have excelled in this making it possible to camp early in the year and stay longer into the fall. RVs offer the most camping comfort possible owing to the included amenities and luxurious features. RVing offer the best camping comfort but with which comes worries about maintaining the facilities operational. This means figuring out where to get hookups (water, sewer, electricity), regular RV service and fuel expenses. Tent camping doesn’t carry as much of a burden thus it is arguably more relaxing. Most nuisances in a campground may seem to be RV caused. However it is clear that you can suffer from loud inconsiderate neighbors in tent camp or noises from generators and AC units from an RV. It all boils down to respect and individual conduct. Properly insulated RVs and silenced generators can help reduce the noise. Also most campgrounds have designated spots for tent campers and RVers to reduce these strains. RVs shield you completely from the outside while most tents have fabric or nylon as the only barrier from animals and other harms. RVs protect you from cold and other weather elements for a safer place to sleep. While RVs aren’t 100% harm-proof, they do reduce the risks as compared to tents. Proper hygiene, proper disposal of waste and longer storage of food is possible and easier to maintain in an RV as opposed to tent camping. RVs offer the best shelter for any weather as compared to tents. In case of rains, everyone gets back to their tents while an RV can comfortably accommodate a couple of your friends and family for more social activities. With proper insulation and AC units, RVs provide a cozy living space with minimal heat loss and low risk of hypothermia in case of cold weathers. Tent camping requires through vetting in determining the perfect spot to pitch tent. Tents as shelters from harsh weather, high winds, rainfall or snow, perform very poorly. You risk having your sleeping bag flooded with rain water or tent being blown away by high winds. Tent camping is only favorable in shaded campsites and preferably in warm seasons like summer. Pets are also a consideration here. RVs have enough space for you to accommodate your cats and dogs onboard while tents may be limited in space or may pose other risks to pets. Tenting with pets may result you tying them up at the campsite or being with them at all times. RVs also include a variety of amenities like bathrooms, kitchens and bedrooms. Tents guarantee a place to sleep without offering much else to improve your camping experience. RVs offer home-like facilities as long as you have a power source (power generator/solar panel, electricity hookup), water hookup and sewer hookup or access to dump stations. Some campsites allow disperse camping if one has a toilet system. This gives RVs quite the edge for unhindered adventure to remote areas. The primary goal of most camping trips is to get away from daily routine. An RV contains all the conveniences present in your home, probably even more. From TVs, Wi-Fi, electricity to so much more. Tenting entails sleeping on the ground, cooking food over open fires and being closer to nature. Definitely, tent camping is the most effective form of camping if your main goal is to experience “real camping”. Tent camping is perfect for families, couples and friends to spend quality time with each other and strengthen bonds. The limited room in tents will also encourage participation on more outdoor activities. Tent camping offers an escapist form of camping while RV camping gives a modern comfy approach to the activity. Most RVers started off with tent camping and some campers practice both forms of camping. 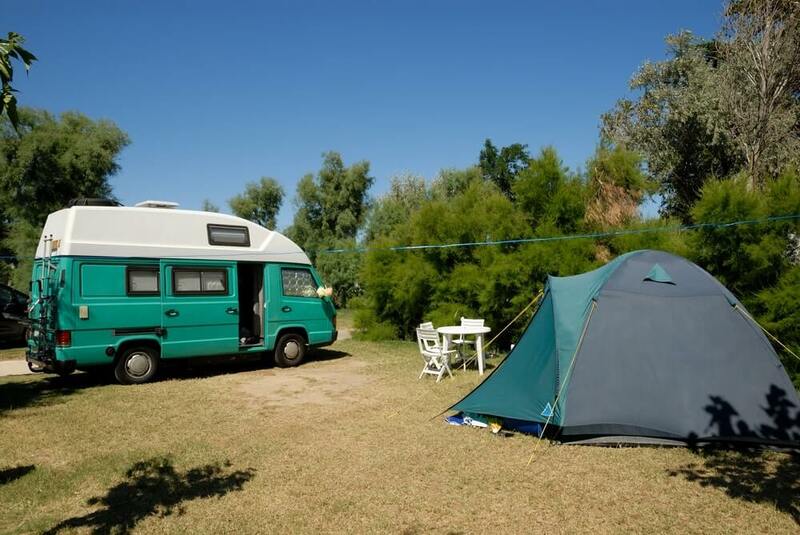 Undoubtedly, opting for either of these camping styles will be determined by your needs and budget. So whatever it’ll be just make sure to enjoy your camping trip!